Sema4’s internationally recognized research program, run by world leaders in data science, network modeling, multiscale biotechnology, and genomics, drives advances in patient-centered predictive healthcare. Our research team has published over 1,000 peer-reviewed publications in the last five years and comprises more than 100 PhD scientists, as well as MDs and over 100 certified technicians. Ongoing collaborations with scientists and clinicians in the Mount Sinai Health System ensure that our research remains patient-centered and clinically-relevant. We are a strong presence in the field of oncology research. 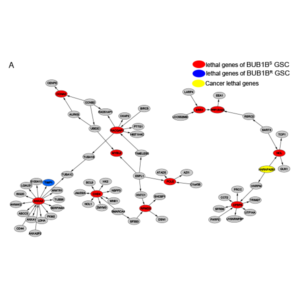 As part of our personalized cancer therapy program, we use deep exome or whole genome sequencing and network modeling to identify both “hotspot” drivers and networks of interactions that are not captured by individual gene or pathway analyses. These insights are validated using experimental models (including fly avatar models) and translated into highly-personalized treatment plans to help oncologists more effectively target cancer. Our research into Alzheimer’s Disease also promises clinical advances for patients. Based upon our years of research on network modeling of Alzheimer’s Disease and the recent discovery of a major Alzheimer’s driver gene, we are pursuing an early-stage clinical trial for gene therapy. Using machine learning, we found that VGF is a master regulator gene that is downregulated in Alzheimer’s patients. Overexpression of this gene in a mouse model of Alzheimer’s dramatically reduced the pathology of disease and enhanced cognitive functioning. We are now planning a clinical trial to test whether VGF has a similar effect in humans. We also have a number of active, fruitful collaborations within the pharma industry, and recently published the results of a study we ran in collaboration with Rhythm Pharmaceuticals [Ayers et al.]. In this study, we took a genetically rationalized approach to patient stratification to identify which obese sub-populations should be targeted for MC4R agonist treatment. 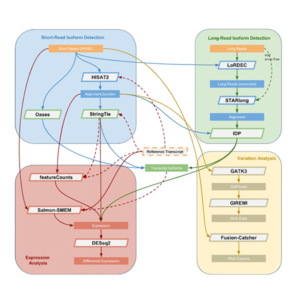 Our multiscale, integrative strategy allows for the collection of complex biological data from many sources, such as the genome, proteome, transcriptome, epigenome, and microbiome. 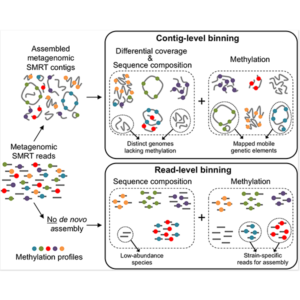 We developed a novel single-molecule real-time (SMRT) sequencing-based technique that exploits epigenetic information for more accurate metagenomic analysis. 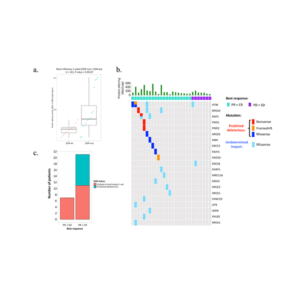 Using this method, we showed that methylation signatures can be used to identify bacterial strains, providing a powerful new tool for microbiome analysis with implications for clinical care. 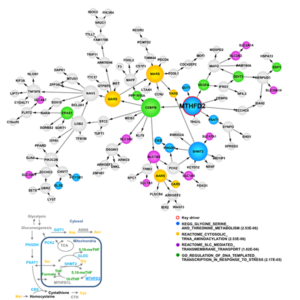 We conducted an extensive analysis of RNA-seq workflows and proposed a comprehensive RNA-seq analysis protocol, RNACocktail, along with a computational pipeline to help researchers derive more accurate and biologically relevant insights from transcriptomes. 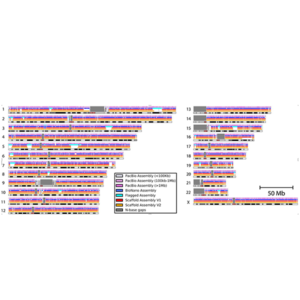 In this study, we developed a new high-throughput method to generate near-reference quality de novo genomes by combining single-molecule sequencing and genome mapping, allowing us to identify previously hard to detect complex genetic variants. 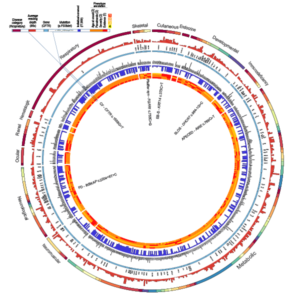 Assembling more accurate and complete genomes is critical to our understanding of human diseases. Informed by years of experience in patient-centered care, we are building technologies to support mobile health research, medical record integration and patient input into the research process. This allows for multidimensional insight into disease processes. 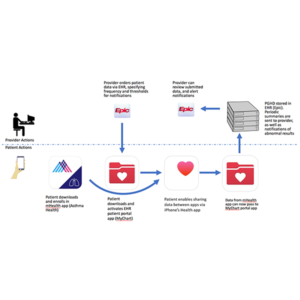 In this case report, we described the technical aspects of integrating self-reported data from smartphones into electronic health records and demonstrated that such integration can result in timely care interventions. 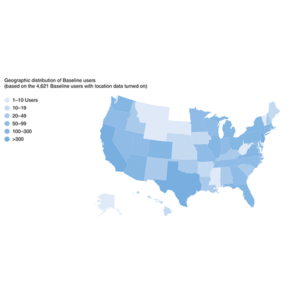 In this follow up to our Asthma Mobile Health Study, we made data from over 6,000 US participants available for further analysis, enabling the research community to work collaboratively towards improving understanding of asthma and mobile health research best practices. 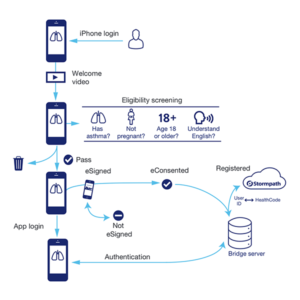 In this first of its kind study, conducted entirely by smartphone, we recruited, consented, and enrolled individuals with asthma, and achieved secure bi-directional data flow between investigators and participants. Our platform enabled prospective collection of longitudinal, multidimensional data and detected increased reporting of asthma symptoms in regions with poor air quality. 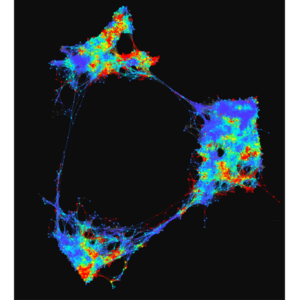 Through deep network analysis, we uncover mechanisms of human disease and potential predictive biomarkers for response to medicine. In this phase 2 clinical trial, we used whole exome sequencing (WES) of tumor samples to show that deleterious mutations in DNA damage repair genes may be predictive biomarkers for response to combination chemotherapy plus immunotherapy in metastatic urothelial cancer. In this study, we took a genetically-rationalized approach to patient stratification to enable precision medicine. 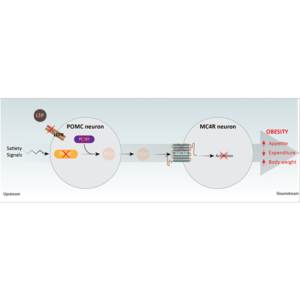 Genetic variants in the hypothalamic MC4R pathway were analyzed to predict which obese sub-populations should be targeted for MC4R agonist treatment. 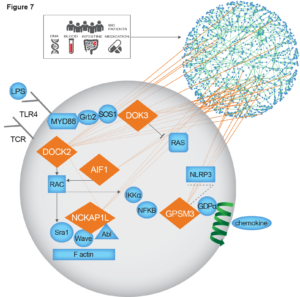 We used an innovative computational method to classify tumors based on their dependency on the mitotic spindle checkpoint molecule BUB1B. This study revealed new tumor subtypes and found that BUB1B-sensitive tumors had significantly worse prognosis but were more likely to respond to many drugs already in clinical use. In this extensive study of the genetics of over half a million people, we identified individuals who are “resilient” to severe childhood genetic disorders. Further study of such individuals could uncover protective genetic variants and reveal the mechanisms of Mendelian diseases, leading to the identification of new therapeutic strategies. We develop, test, and maintain big data solutions to transform, aggregate, and abstract data into high quality formats that are optimized for query and analysis. We then apply advanced technologies including artificial intelligence to these data to extract meaningful and predictive information which furthers our knowledge and understanding of disease and wellness. We applied an in-depth, multi-omics approach to characterize the immune component of inflammatory bowel disease (IBD) and construct the first predictive model of the disease. This study provided new insights into the networks involved in IBD with the potential to identify new targets and novel interventions. We used integrative network modeling and Bayesian network analysis to predict that oxidized phospholipids, which are implicated in atherosclerosis, activate the MTHFD2 gene. We validated MTHFD2’s function in endothelial cells and implicated MTHFD2 as a potential drug target for cardiovascular diseases. 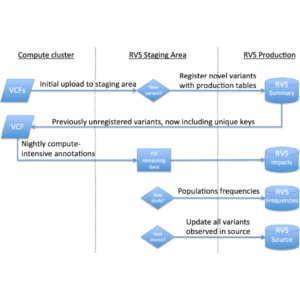 In a first step towards creating a knowledge base to analyze disease cohorts and identify actionable variants, we built a reference variant store (RVS) to host 400 million genetic variants observed in more than 80,000 human samples. In this precision medicine study, we used topological analysis to characterize the complexity of type 2 diabetes (T2D) patient populations based on high-dimensional electronic medical records (EMRs) and genetic data, resulting in the identification of three distinct T2D subgroups.